Michelle Obama is making headlines at this week’s Democratic National Convention. Her poise, grace, and impeccable style are an inspiration to all. 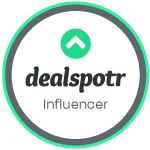 Mrs. O sported a fitted pink dress that accentuated her toned arms and fit physique. Physical fitness and healthy food choices are a hallmark of Mrs. Obama’s “Let’s Move” campaign, which pledges to battle the obesity epidemic that has impacted Americans of all ages and classes. Always one to lead by example, the First Lady stresses that fitness can be fun, like child’s play. In a recent interview, she revealed two of her favorite fun fitness activities, “If I do have a talent, it is hula-hooping. I can hula-hoop forever. And I've been a hula-hooper since I was little. That and double-dutch." 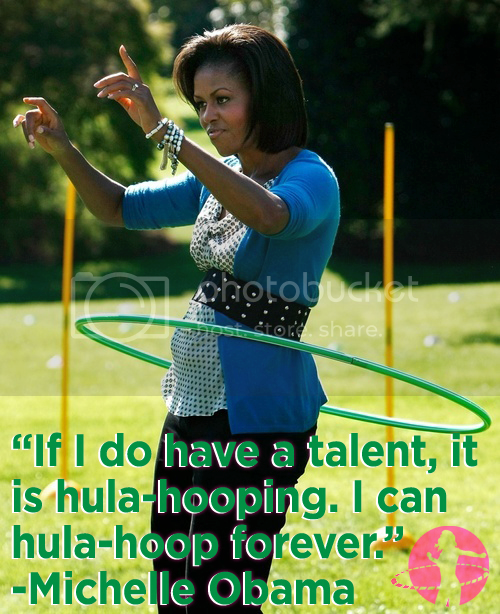 President Barack Obama says his wife Michelle "is the best hula-hoopers I know. Once she gets the rhythm going, she can drop it to her knees." Hoopnotica, a California based “Fitness Hoop” company, has taken the iconic American Hula Hoop introduced byWham-O in the 1950’s and modernized it, increasing it’s size and weight to accommodate the adult-sized body. In addition to producing high quality “Adult Sized” fitness hoops, Hoopnotica offers several instructional DVD’s and has several hundred certified instructors throughout the world. The Hoopnotica program utilizes the hoop as a cardio and resistance tool for an effective workout that challenges the mind and the body. This low-impact exercise is affordable, simple to learn, and easy to incorporate into one’s daily lifestyle. Just half an hour in the hoop can torch 200-300 calories – making it an ideal workout for busy professionals and stay at home moms who have difficulty finding time for the gym. Several men and women have experienced dramatic weight loss through their Hoopnotica practice and by making healthy lifestyle choices such as those championed by Michelle Obama’s “Let’s Move” campaign. Hoopnotica’s patented “TravelHoop” breaks apart into six segments for easy storage and transport. Priced at $49.99, the TravelHoop Kit comes with a Level 1 instructional DVD to help hoopers get started. Starting now through the end of September, Hoopnotica is offering a 10% discount on all purchases site wide with the code “MOBAMA” as a tribute to the First Lady and her dedication to improving the health and the lives of the American people.